City Pantry believes that good food makes for a happier and more productive workplace and is on a mission to provide companies across London with the freshest, tastiest food, direct to the office. 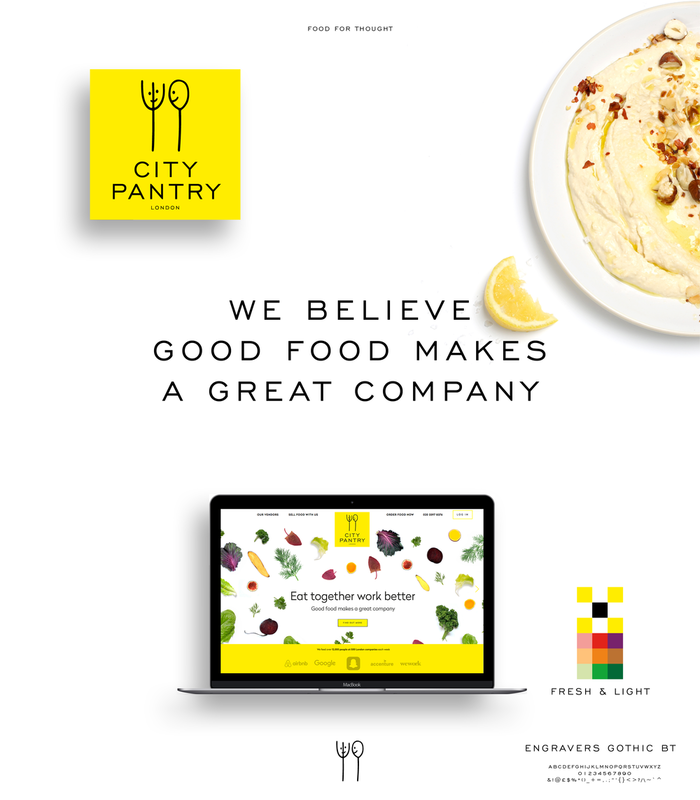 Notable created a brand world for City Pantry that reflected its accessible yet high quality positioning. The rebrand has received positive feedback since its launch in the summer of 2017. "It's been a really exciting time since the launch, we're seeing a great response from customers both existing and new". Stuart Sunderland, Founder & CEO of City Pantry.